Diabetes is a metabolic disease which is characterized by high sugar content in the blood. There are three major type of diabetes, type I, type II and gestational diabetes. Type I diabetes is caused by the inability of the body to produce insulin. Hence, the person needs to regularly inject insulin into him/her or wear an insulin pump. The type II diabetes, which is the most common one, is caused by the inability of the body to use the insulin effectively. The gestational diabetes occurs in pregnant woman who develop diabetes during her pregnancy. This could later lead to Type II in certain cases. The type II diabetes is becoming an epidemic and spreading very fast in the world. Even though the awareness has widely increased about this preventable disease, the lifestyle of the current population is causing more and more people to become diabetic. Diabetes has been around for a very long time. My paternal grandmother was diabetic and she was under medications for it, but they had a better management of the disease because of the life they led. The kind of food they ate and the amount (and quality) of work they did enabled them to keep the disease under control. Today , being the WORLD DIABETES DAY, myself and a group of blogger friends are doing this special post for creating as much as awareness possible through food. Eating the right kind of food is a very important factor in controlling this disease. In this busy world, people find it very hard to eat the right kind of food and are easily carried towards the junk food which is readily available and easily accessible. Hopefully this little step from our side would create awareness in people and teach them that eating healthy is not very hard. All it takes is a little planning and modest lifestyle changes from individuals. Eating right and exercising regularly are the two important steps that a doctor advices anyone who is diabetic. 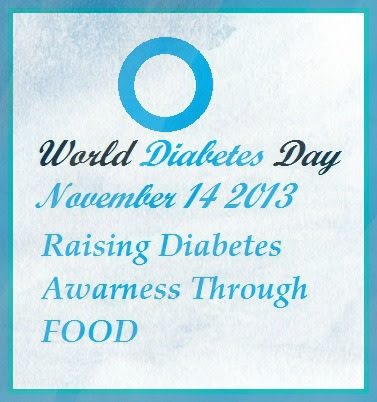 My personal experience with diabetes has been through my father. 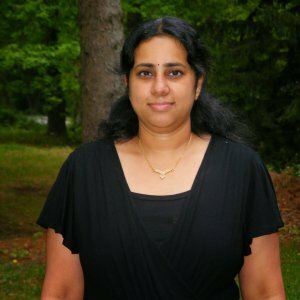 My paternal grandmother was diabetic, but I was not old enough to understand what she went through dealing with the disease. Less than 8 months back my mother had just come to visit us in US and within a week, my dad was not feeling well and was admitted in the hospital. It was hard for us to digest the fact that my dad who is a very active person (and thank god is still very active) was in the hospital. He had cardiac symptoms and the doctors performed Angiogram to find that he needed a triple bypass surgery. Me and my mother flew back to India immediately and then my dad had a very successful surgery. But it was very scary to see the person who was the supporting pillar for me to be in the hospital bed. My dad had high sugar levels for the past few years and he had never monitored it too well. His cardiac symptoms were caused by the fact that he was not monitoring his sugar levels like he should have been. It was a close call and god had been extremely nice to us by saving my dad’s life. Now he is very aware of his sugar levels and has it under control. 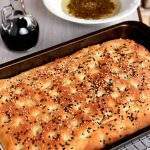 I have been passing along several diabetic friendly recipes which are also heart healthy to my mother. My dad is extremely a picky eater and my mother is facing the same issue that I face with my 3 yr old. Though he has become far better than what he used to be, my mother still has a hard time cooking certain things for him. Whole grains are something that I have been asking my mother to use a lot. One does not have to go out of way to find whole grains. Just some basic substitutions in the regular grains can give a very visible result in one’s body. Avoiding white rice is the biggest challenge that my father is facing. The man just loves his rice! 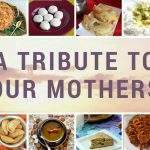 So instead of making a drastic change and completely depriving him from his white rice, I asked my mother to start substituting the white rice in idli, dosa, adai etc. 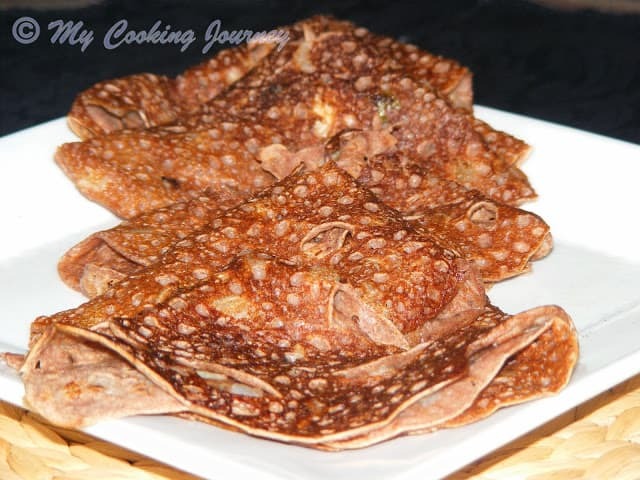 In fact, the adai’s made with brown rice are so soft and delicious that I have entirely stopped using regular rice for it. 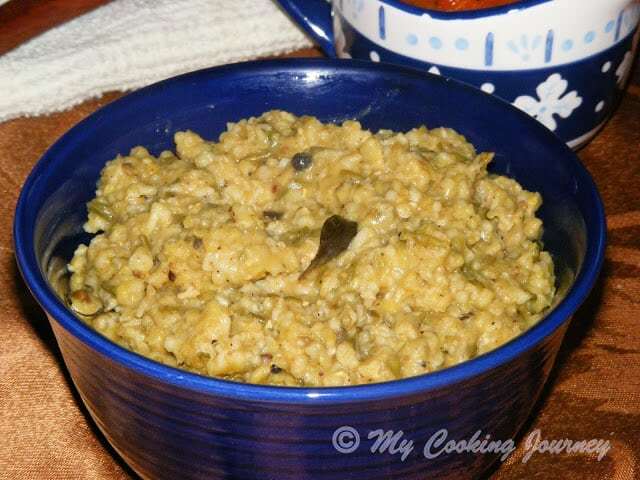 Oats pongal is something that I started making recently in which along with rice I use the whole moong or the split moong with the skin on. 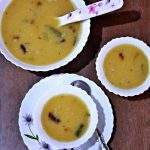 The whole combination makes the pongal so earthy and delicious that you would never go back to the regular pongal. Oats is very rich in soluble fiber, which slows the absorption of glucose from food in the stomach keeping the blood sugar levels in control. Because of the same reason, it also keeps one fuller for a long time. 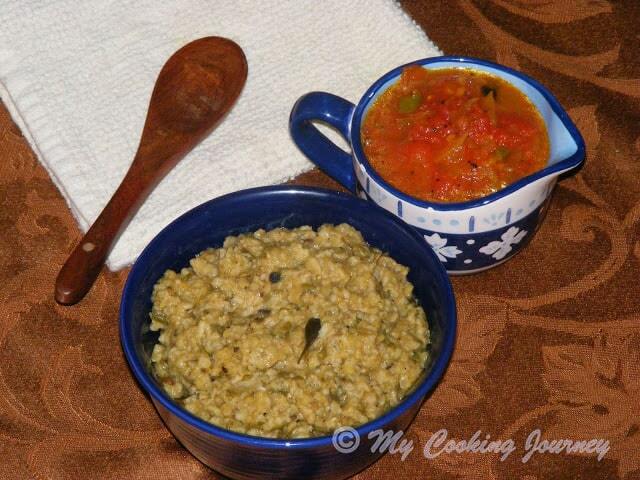 Moong dal or whole moong is again very rich in fiber. Complex carbohydrate in moong is also effective in stabilizing blood sugar and prevents rapid rise after meal consumption. 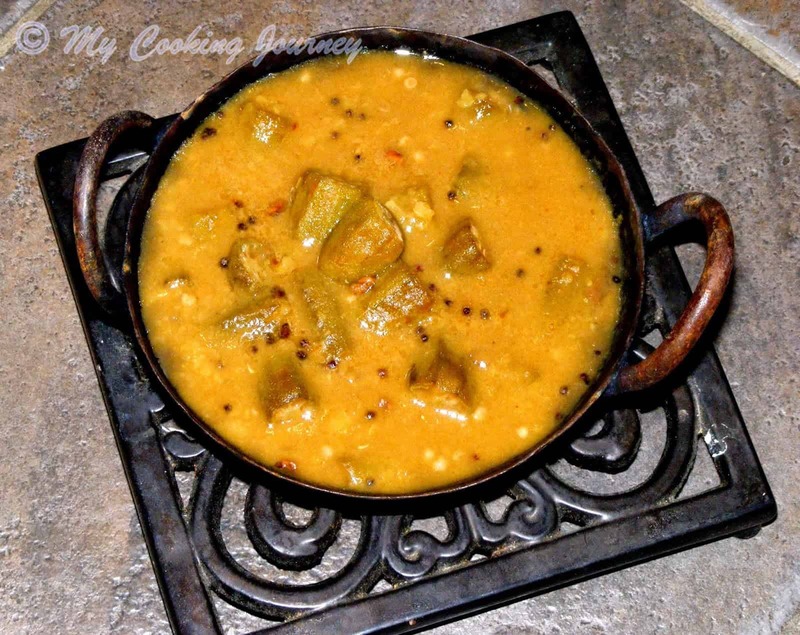 Moong also is very rich in Vitamin A, B, C and E. It is also an excellent source of many minerals, such as calcium, iron and potassium. 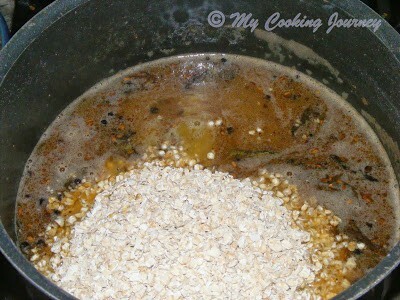 In a pan dry roast the oats for 4-5 minutes until aromatic. Keep it aside. 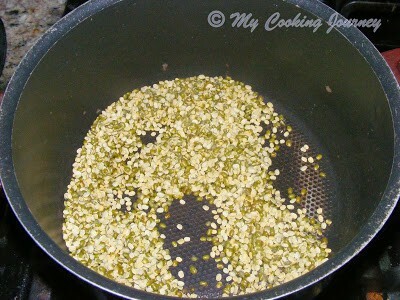 In the same pan roast the moong dal for few minutes until it starts to change color. Wash well and cook in adequate water until it is soft and mushy. 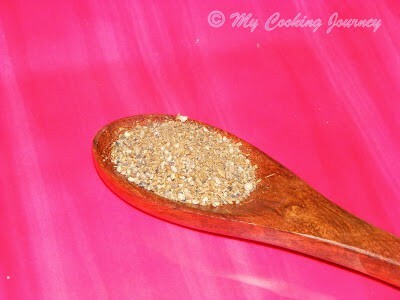 In a spice grinder, coarsely grind 1 ½ tsp of pepper and 1 ½ tsp of cumin and keep it aside. In a wide pan, add the oil and heat it. 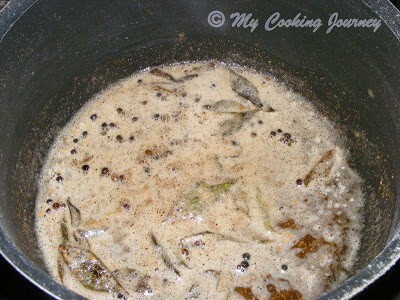 Season with the remaining pepper, cumin, asafetida, curry leaves and ginger. Fry them well. 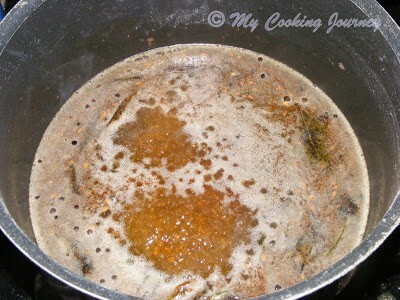 Now add the ground pepper-cumin powder and fry for a minute. Heat about 2 cups of water to the pan and let it come to a boil. Add the turmeric powder and salt required to the dish. 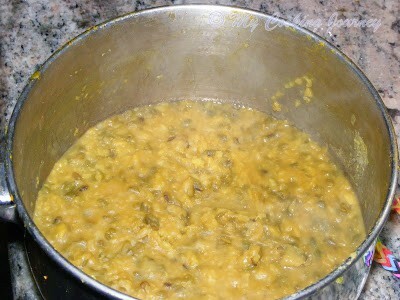 Add the cooked moong dal and the oats to the boiling water and mix well. Simmer and cover with a lid. Let it cook for about 5 minutes. At the end of 5 minutes, you will notice that the oats has cooked. If not cook for 2 more minutes. 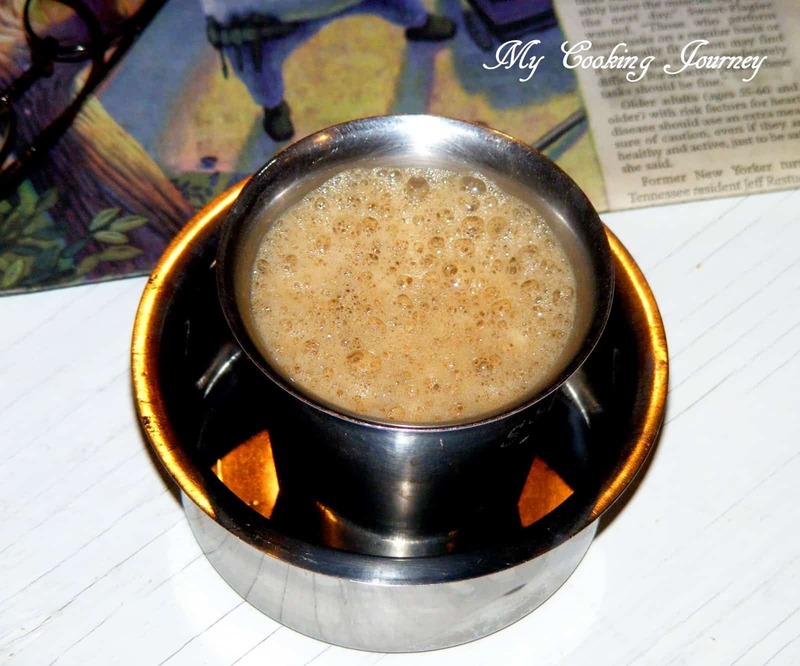 Adjust the consistency of the pongal to your liking. I like mine a little bit on the runny side and hence I end up adding half a cup more water. 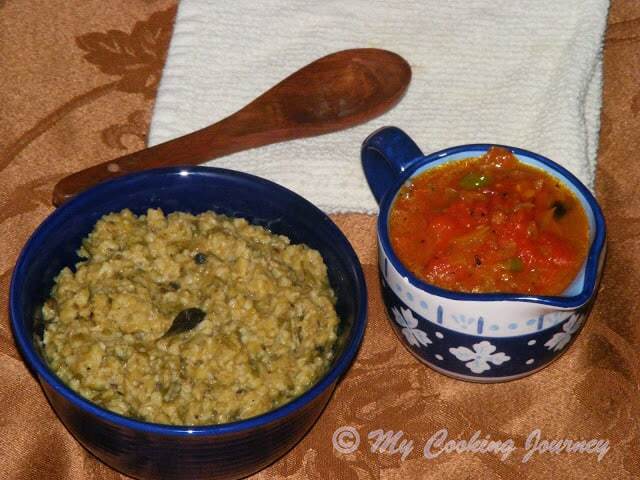 Serve hot with gothsu or sambhar! 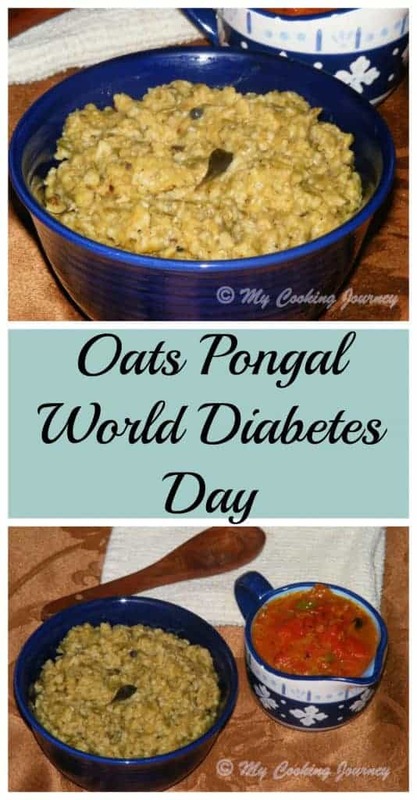 Oats pongal looks very delicious and healthy too. A perfect dish. Oats is high in fibre. thanks for the recipe. 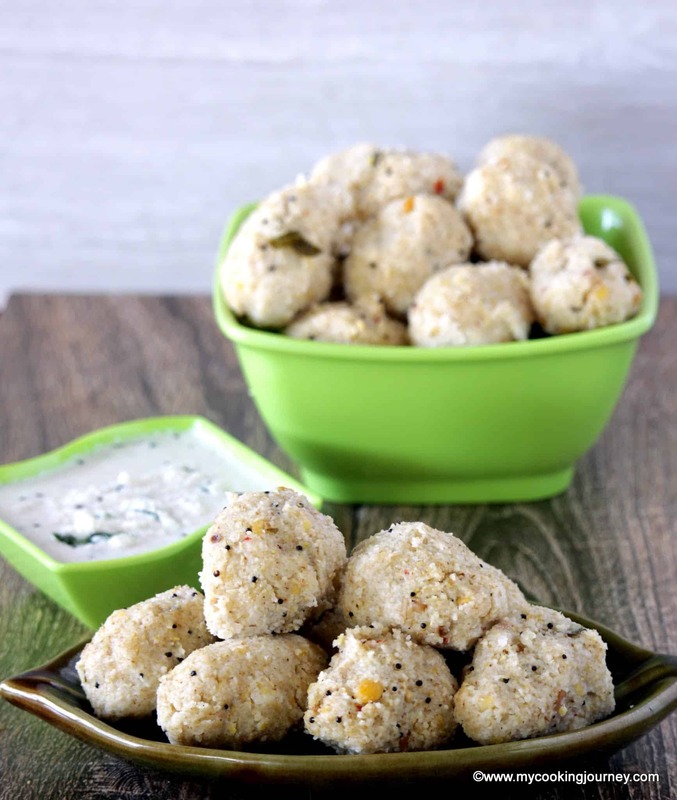 very healthy and delicious looking pongal looks so tempting !! 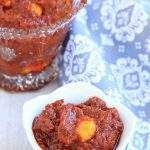 Great recipe, Sandhya. 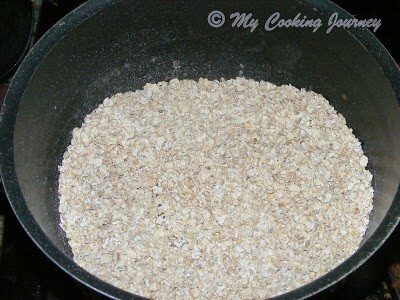 Please do try rolled oats instead of rice flour when you make moar koozhu/kali. It tastes wonderful and the glycemic index is very low. Use it exactly as you would rice flour, by grinding dry roasted oats in a blender and proceeding with your favorite recipe for the dish. Enjoy! I am an insulin dependent diabetic and dishes like these help me manage my condition very well. 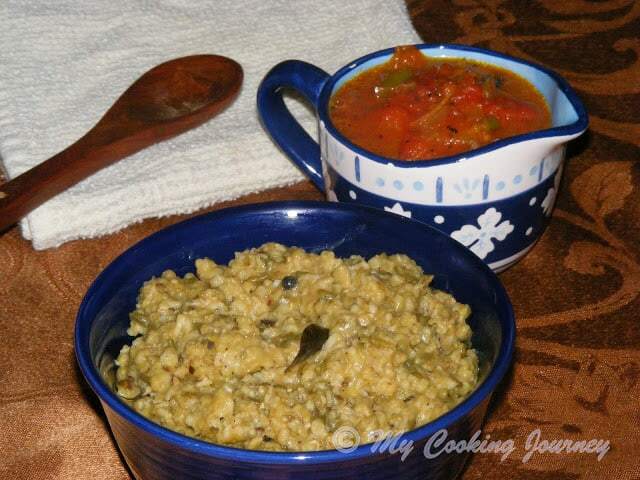 Delicious and healthy pongal. Hope your father starts to enjoy rice substitutes. My 14 year old son has been living with Type 1 Diabetes for 6 years now. Thank you for this post! I am so glad that you found the recipe useful! Good luck to you and your son.